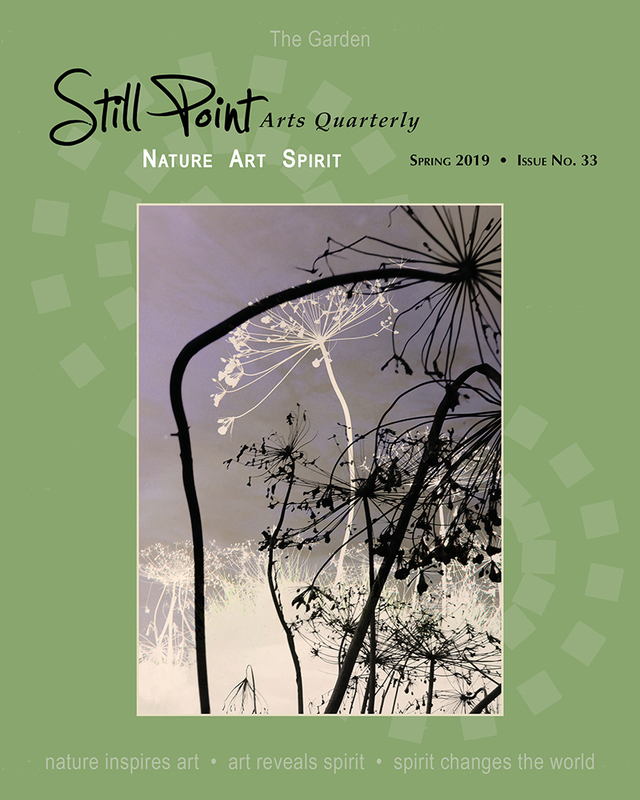 Lisa Glover, our guest blogger, spends some time with a friend in Illinois and learns to take advantage of opportunity. I’ve been out of college for a little over a year now and have realized something important: you make time for the people who you want to be an active part in your life. If you’re anything like me, there will always be something going on that prevents you from staying in touch with friends and family. Jobs, money, relationships… there will always be a barrier or an excuse. In mid-April, a close friend of mine returned from spending her final semester of graduate school in Rwanda. The distance between New York and Illinois has kept us apart for roughly the last two years. During a Skype call that occurred a few days upon her entering back into the US, I felt compelled to go visit her. I knew she was planning on spending her summer at a camp in Wisconsin and after that, who knows where she’d end up. The only realistic weekend: Memorial Day Weekend. Obviously, the cost and timing of flights was not on my side. Either I was forced to take a day off from work or spend an exorbitant amount of money on my flight, or even then I did not really have the most ideal options. I internally debated it for a bit. I weighed the pros and cons of every scenario and finally chose something that would work. Why? Because it was important to me. The drive from the airport to the suburbs of Illinois was nearly an hour, but Erika and I had so much to catch up on – life, family, relationships… the usual. From the moment I booked my flight and made it official, we had an endless list of touristy attractions, sprinkled in with local, native-Illinois activities. We woke up early the following morning to grab bagels and coffee before heading on a train out to Chicago. I felt like one of those typical tourists with my head up gazing at the skyscrapers and taking in all Chicago had to offer. 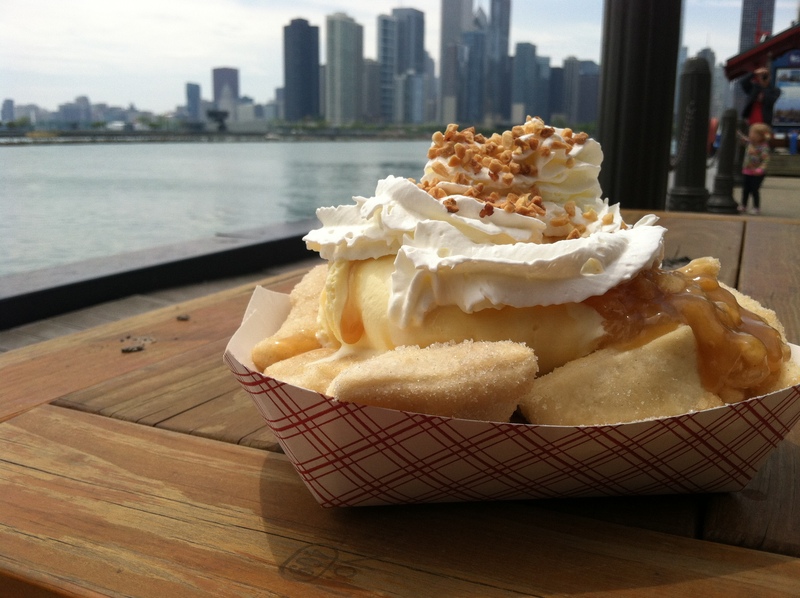 We made our way to Navy Pier and indulged in fried dough dipped in vanilla gelato and drizzled with warm caramel. It was one of those foods that you feel guilty about eating afterwards, but finish every last morsel, nonetheless. 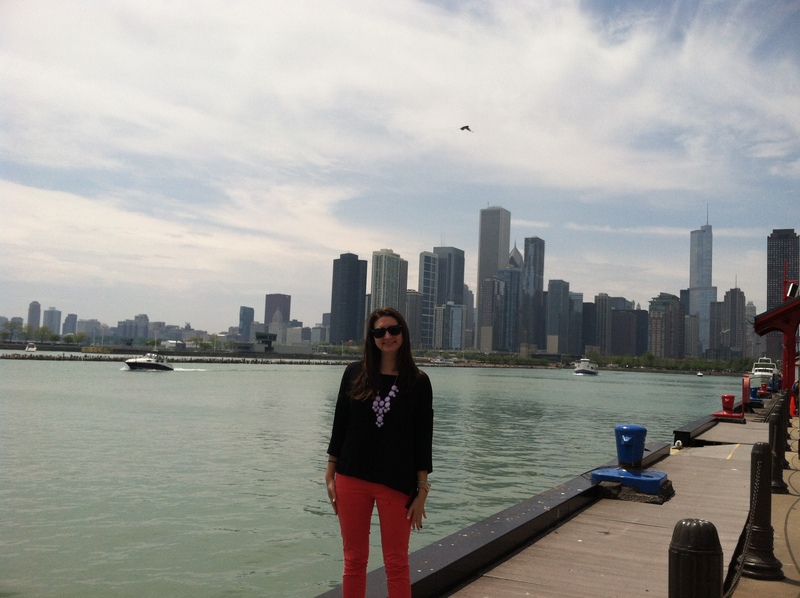 One of the first things we signed up for was the Architecture Tour on the Chicago River. We learned all about the history of Chicago as the tour guide told some interesting stories about the buildings that we passed. What I admired most was how unique and different the frame of each building was. It was intriguing to learn the hidden history of the city that I wouldn’t have known from just visiting. 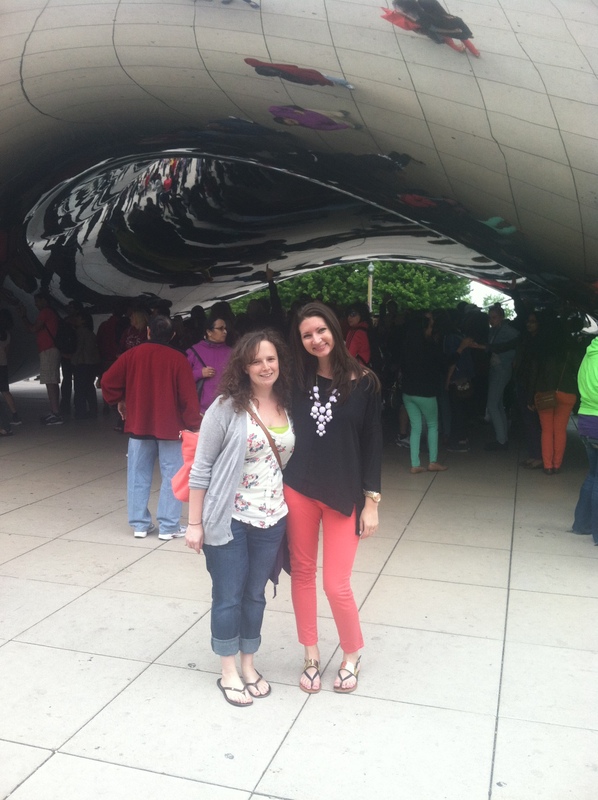 We walked all around the city, stopping at Lake Michigan to get our toes wet and taking pictures in front of the famous “bean” in the heart of Chicago. We ate dinner at Gino’s East, one of the most famous pizzerias in the city and devoured the deep dish pizza. Tired and full, we dragged ourselves back onto the train for our journey home. The weather the following day was rainy and overcast so we spent it low-key. Erika took me to a few places from her childhood and did one of our favorite past-time activities: crafting. 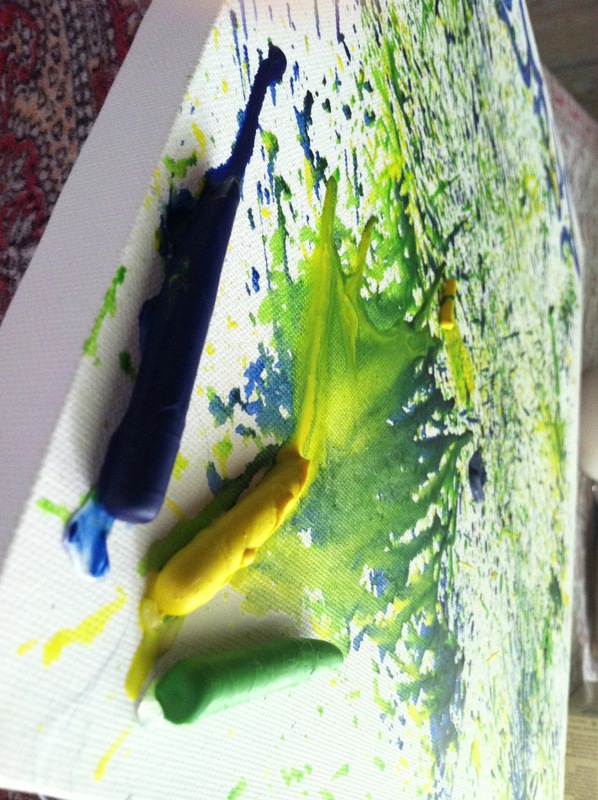 We discovered that by hot gluing crayons to a canvas board and blow-drying it, you get this magnificent creation. It was in those quiet moments that I knew I made the right decision to visit. There are many friendships that require that extra effort in order to maintain. Traveling to spend time with a friend is one of those things that keep friendships alive. I’m so grateful that I was able to spend that weekend with her, and I know it meant a lot that I came. 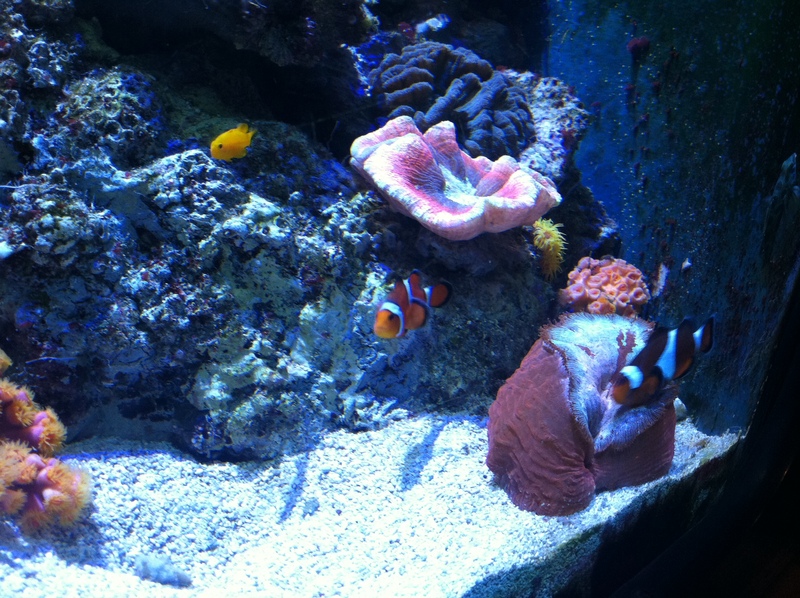 On our last day, we went to the Shedd Aquarium. There was so much to see and we only had about an hour until closing. We went through each room quickly, but stayed to watch the dolphins that provided quite the entertainment as they sprung in and out of the water. The aquarium was the final thing to check off my list, and Erika did a great job of packing in all the activities I had requested before driving me back to the airport. What I learned from all of this is that when you have an opportunity, you have to take it. Timing will never be perfect, you will always wish you had more money, but the main thing is not to look back and wish you had taken that vacation when you had the chance. I’m very fortunate to be a year into a career that I’m passionate about and have the means to travel every now and then. For the most part, embrace the opportunities that present themselves, and worry about saving later. Hi Christine – thanks for the nice comments! And those dough balls were outstanding, something everyone should try at least once! What a beautiful post. I agree that friendship sometimes takes effort, but for those you really want to spend time with, it’s worth it. For example, we flew to Norway to spend time with some friends that we hadn’t seen in ages, and it ended up brightening our weekend. By the way, the dough balls with gelati made me hungry. I wonder if there is something like that in London! Spending time with friends while discovering a new place is one of the best ways to experience a destination, in our opinion! Glad you had the chance to do this yourself in Norway. Good luck finding a delicious version of Lisa’s snack in London.